The vertical drop from summit to base is 1417 ft. The average difference in altitude between base and summit of Ski Resorts in Canada is 1148 ft. The ski resort takes you to an elevation of 5869 ft. Season starts on Dec 14 and ends on Mar 31 (107 days). Average season duration in Canada is 165 days. Average snow depth during the season (Dec 14 to Mar 31) is 72 " at summit elevation and 61 " at base elevation. Snow coverage is usually best during March, offering an average snow depth of 85 " at summit elevation and 69 " at the base. Brand new quad chairlift coming 2020 to replace the Orange Chair! Manning Park´s 57 hectares of ski and snowboard terrain are located in Gibson Pass Valley, British Columbia. This resort is renowned for its variety of winter sports, ranging from classic cross country to snowshoeing, skate ski trails and polar coaster tubing. 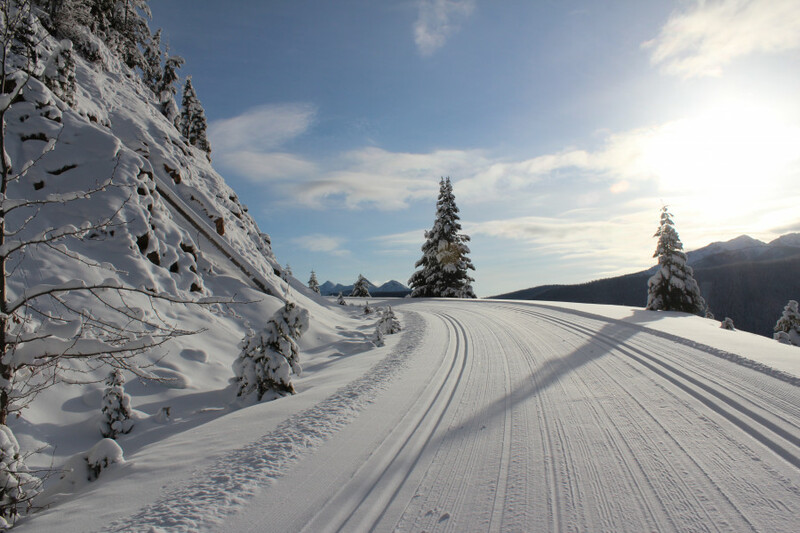 Offering over 60 kilometres of fascinating machine groomed cross country trails, Manning Park is a paradise for cross coutry skiiers, considering that 160 kilometres of backcountry trails are for free! 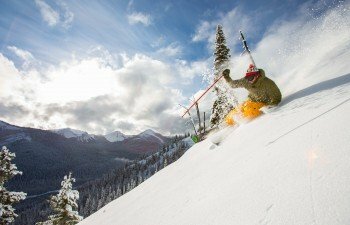 Manning Park is famous for its dry snow spread across 24 marked ski and snowboard trails groomed to perfection with a great view from the top elevation of 1790 metres made accessible by 4 lifts that take you to your destination quickly and safely. The „Ski Village“ in Manning Park features various services such as a cafeteria, ski rental and service, daycare and friendly, family oriented staff. Since the 1950´s Manning Park has been a hotspot for wintersport enthusiasts and this claim is thoroughly justified. Just 10km away is Manning Park Resort. Manning Park Resort offers a variety of accommodation from lodge rooms to cabins, a swimming pool with hot tubs and sauna/steam room, a restaurant, a country store, and also a welcoming pub, called "The Bear´s Den" where you can relax after a day on the slopes or trails. Manning Park Resort offers a free shuttle bus service up to the ski hill so once there you don´t have to worry about winter driving. 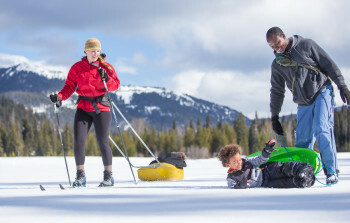 Visit Manning Park Resort to see what "Super Service with a Smile" is all about! The Bear’s Den Pub at Manning Park Resort is designed with you – our guest – in mind. A great place to unwind from an outdoor adventure, it’s a casual, fun pub where you can enjoy drink specials and tasty food. With local art and funky décor, you’ll feel right at home at the Bear’s Den. Catch the game on one of our two 70″ TV’s, play pool with friends, and hear live music at the Bear’s Den Pub. It’s the perfect end to a day in outdoor paradise! The Pinewoods Dining Room is Manning Park dining at its best. With a picturesque mountain backdrop, it’s the ideal place to come together to enjoy a family gathering or an intimate meal. An extensive menu designed by our executive chef ensures that everyone in your party will be delighted with their dining experience, whether it is breakfast, lunch or dinner. 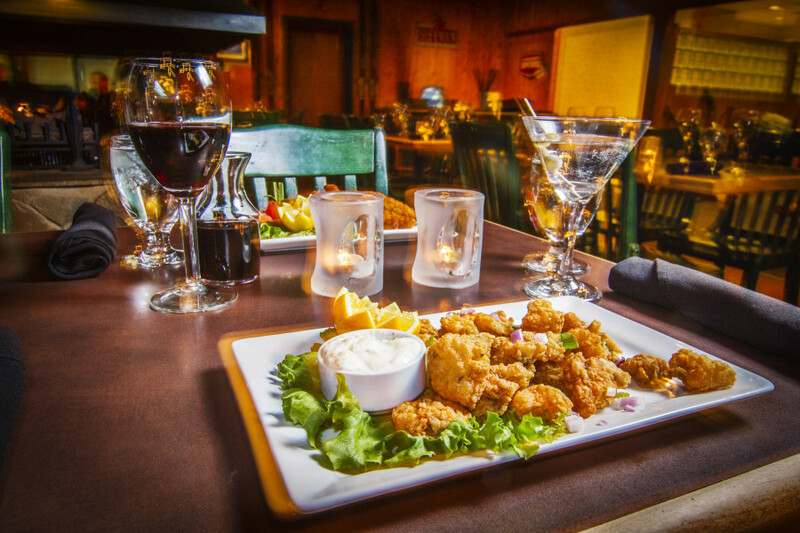 Enjoy Manning Park favourites and classic dishes in a welcoming setting. With daily specials, an inventive wine list, and knowledgeable and courteous staff, Pinewoods Dining Room is a delightful addition to your Manning Park dining experience. 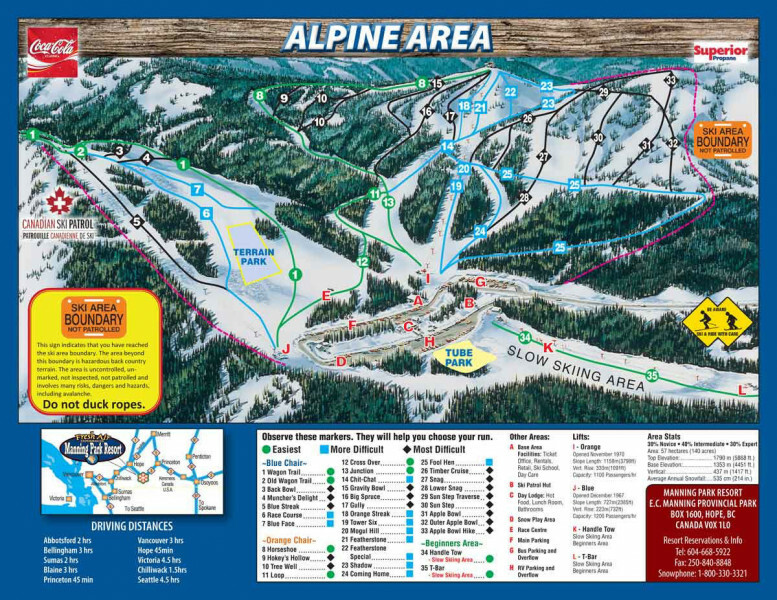 Manning Park Resort is easily accessible from both the Lower Mainland and the Okanagan. Located on the Hope-Princeton Highway (Hwy. 3), Manning Park Resort is in the heart of the Cascade Mountain Range in beautiful southern British Columbia. Getting to Manning Park is easy by car, air or bus.